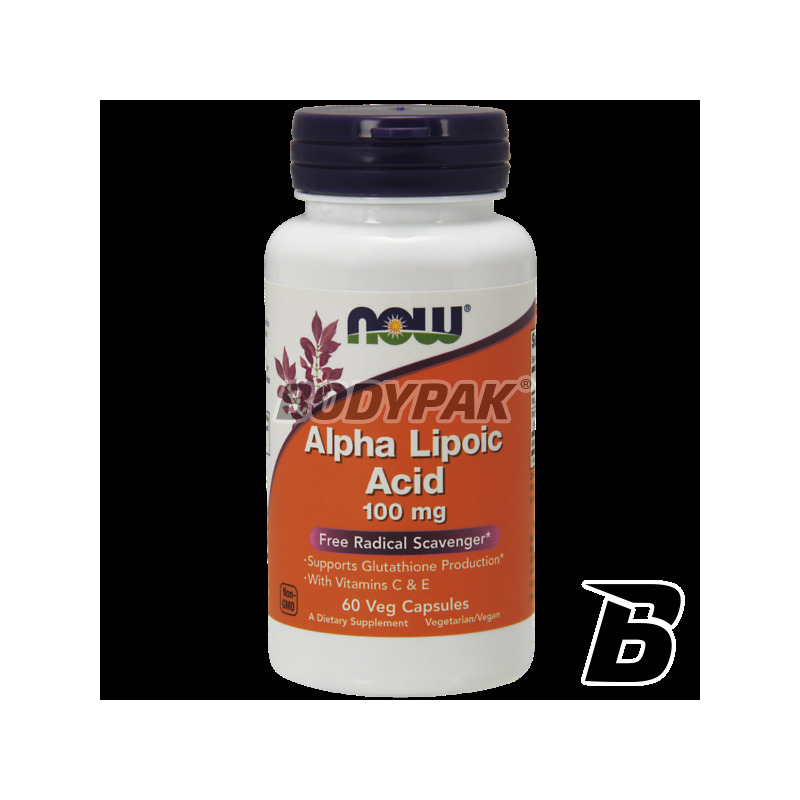 Health & BeautyNOW Foods Alpha Lipoic Acid 100mg - 60 kaps. ALA is a product supplementing the diet with highest-quality alpha-lipoic acid efficiency of energy production and protecting against adverse effects of oxidation. 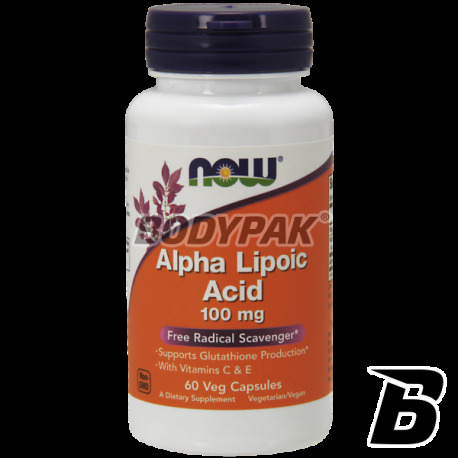 Alpha Lipoic Acid (ALA) - Alpha lipoic acid is a natural antioxidant. It improves energy production and protects against adverse effects of oxidation. It inhibits the development of atherosclerotic lesions, supports heart. Improves physical fitness. ALA acts like insulin, facilitating the penetration of amino acids and creatine into muscle cells. Owing to their special ability become increasingly appreciated supplement for treating a number of diseases and in the prevention of their speeches. Especially recommended for persons at risk of atherosclerosis, diabetes, heart disease, liver and obese people. 2 times a day 1 capsule. Meal. Inne składniki: mąka ryżowa, celuloza (kapsułka), stearynian magnezu (pochodzenia roślinnego), ditlenek krzemu.